Design is fundamental to our way of life, through the products we consume or the way in which we choose to live our daily lives, design affects us all. It is important that young people understand the way in which technology informs design; how products are manufactured and how material, social and moral considerations may influence future generations. Young people must therefore be provided opportunity and insight into the world of design. They must be encouraged to respond to contexts and problems, but more importantly develop the ability to persevere and undertake challenges in unfamiliar contexts. 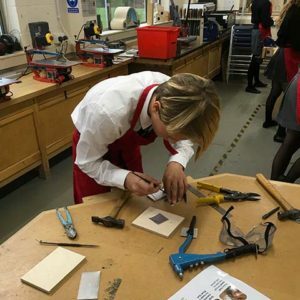 Pupils are taught a wide range of skills, knowledge and understanding, along with the processes needed for manufacture. All projects have a strong design element which pupils research, develop and produce independently. Presentation skills, both in 2D and 3D are introduced, including the use of computers (CAD/CAM) for both design and manufacture. Pupils complete several projects over the course of two years. All projects are based on design contexts, problems and themes, with work centred around personal research and development in both sketchbooks and on display boards. 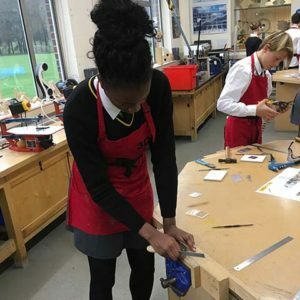 Pupils are expected to undertake their investigations using a range of design skills, including CAD/CAM as well as modelling, prototyping and manufacture of final outcomes. 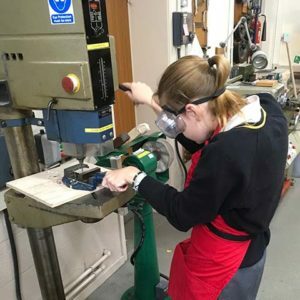 The Department is based around two multi-purpose workshops, where hand and machine tools are used in the production of student work. The Department is also equipped with a CAD/CAM computer room, Laser Cutter, CNC flat bed router, 3D Printers and vinyl cutters, which are all widely used throughout the year groups. 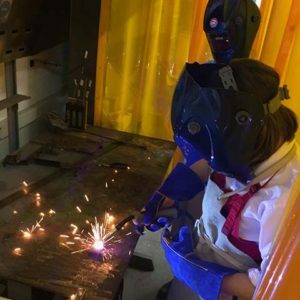 Although, new technology reflects the modern interpretation of the subject, pupils have access to heat and metal works such as welding and brazing facilities to support traditional methods of working. Trips and experiences outside of classroom learning are hugely beneficial. Pupils have enjoyed excursions to site-specific locations, museums and initiatives such as Teen Tech. The Department also offers additional workshops at lunchtime and shared initiatives such as ‘Race for the line’. 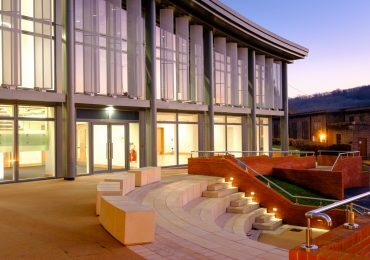 Sixth form students are offered the chance to attend design conferences such as ‘Product Design in Action’ which provides them with an insight from industry leaders at the cutting edge of design. The Arkwright Scholarships Trust is an independent charity that identifies, inspires and nurtures future leaders in engineering and technical design. Pupils who demonstrate the necessary skills are entered annually for this prestigious award.